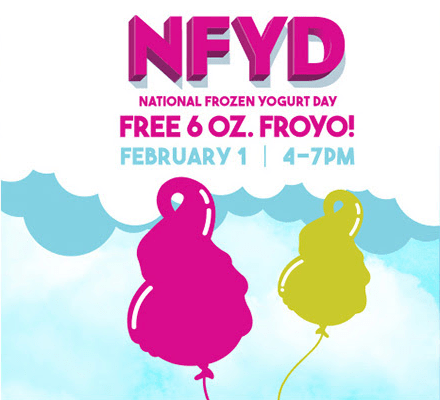 In celebration of National Frozen Yogurt Day, Menchie’s Frozen Yogurt is giving away up to six ounces of FREE frozen yogurt with toppings on February 1 from 4 p.m. to 7 p.m. (Just pay the difference if you’d like extra yogurt!) Limit one cup per customer at participating locations. For shops nationwide, click here.